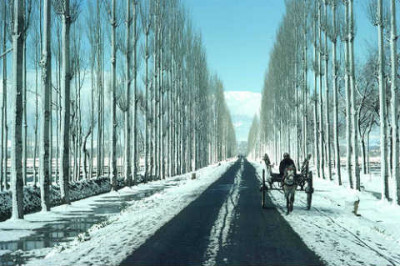 Arrive Srinagar Airport Pickup & Transfer to Gulmarg. Drive through the pine forest. Gulmarg has one of best ski slopes in the world, and one of the highest golf courses in the world with 18 holes. View of Nanga Parbat if the weather permits. Fascinating views from Tangmarg to Gulmarg. Stay overnight in Gulmarg. After Breakfast the Gandola lift for Mountain can be taken. ( A short trek up to Khilanmarg, which can be covered in about 3 hrs. is Optional. ). Gulmarg is a Small Places and all points can be covered in the range of 2 Kms so one has to Walk or take a Sledge from Local Porters. Stay overnight in Gulmarg. After Breakfast check out from the hotel, Drop at Srinagar Airport. Pickup from Jammu airport. Sightseeing in Jammu and Transfer to Jammu Hotel. Night in Jammu.